For the exhilaration the Los Angeles Lakers had from winning a second consecutive matchup with the Portland Trail Blazers, it came at the expense of Rajon Rondo as he suffered a broken hand in the fourth quarter. Rondo’s injury wasn’t immediately clear as he continued to play before checking out due to a rotation decision, not because he appeared limited. Most of Rondo’s teammates were not aware of the issue when they entered the locker room. 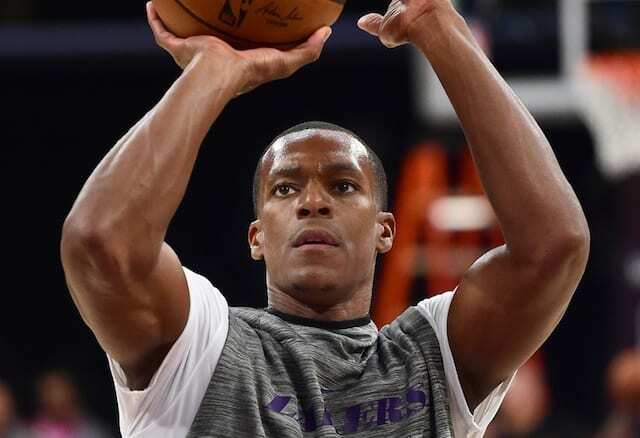 Rondo underwent surgery the following day to repair the fractured the third metacarpal on his right hand. The Lakers set a timetable of four to five weeks for his return. 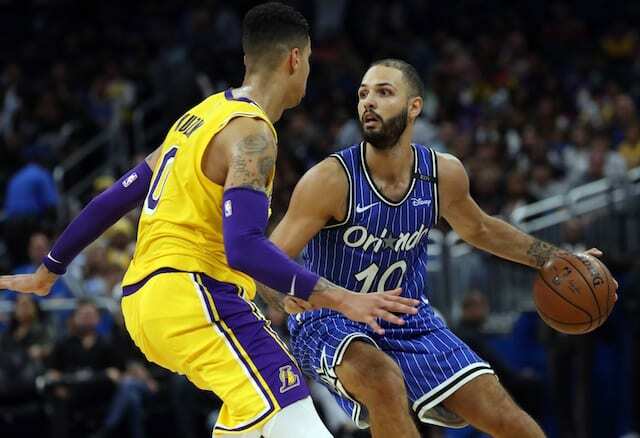 The veteran point guard has steadily been increasing his level of activity since the operation, starting off with left-handed passes to teammates and advancing to dribbling, shooting and passing with his right hand. Despite the progress, Lakers head coach Luke Walton stopped short of deeming Rondo ahead of schedule. “I always have hope that he’s accelerated in his recovery. It’s really the doctors and trainers,” Walton said over the weekend. Rondo seemingly took another step forward Sunday, participating on a 3-on-3 scrimmage that also included Michael Beasley, Svi Mykhailiuk, Moe Wagner and Ivica Zubac. The game was played at half speed and concluded with Rondo sinking a game-winning jumper over Zubac.